This post is co-authored by Anne Connell, assistant director of the Women and Foreign Policy program at the Council on Foreign Relations. 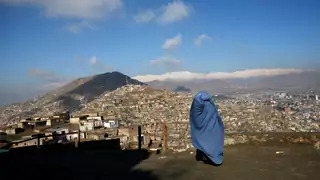 Afghan women have long feared that negotiators for a peace agreement with the Taliban would trade away women’s rights for the chance to end more than sixteen years of war. This apprehension may soon be tested. However, these gains have not translated into opportunities for women to participate in the peace process. In twenty-three rounds of peace talks between 2005 and 2014, women were at the table on only two occasions. When officials from over twenty-five countries recently gathered for the Kabul Process, an Afghan-led peace conference, the room was overwhelmingly filled with men. If the conference is at all indicative of what future negotiations will look like, Afghan leaders should rethink their approach and pursue instead a proven strategy to improve the chances for peace: the participation of women. In a new interactive report, we present in-depth case studies and an index tracking women in formal roles in peace processes from 1990 to the present. This and other research suggests that including women in peace processes advances security, and that their participation in negotiations makes the resulting agreement 64 percent less likely to fail and 35 percent more likely to last at least fifteen years. Despite the marginalization of women from Afghanistan's formal peace negotiations, Afghan women have made valuable contributions to addressing violence and securing peace at the grassroots level throughout the country.